Bladder 40 is the Command Point of the back. Command Points are one of many categories of acupoints used in Chinese medicine. As the Command of the Back, Bladder 40 is an essential point to add into your sessions aimed at relieving low back pain. Regardless of the type of hands-on healing you practice, adding in acupoints is a way to offer more relief to your clients. 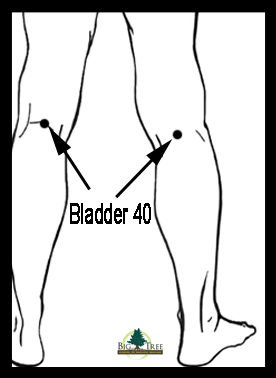 Bladder 40 is located behind the knees. 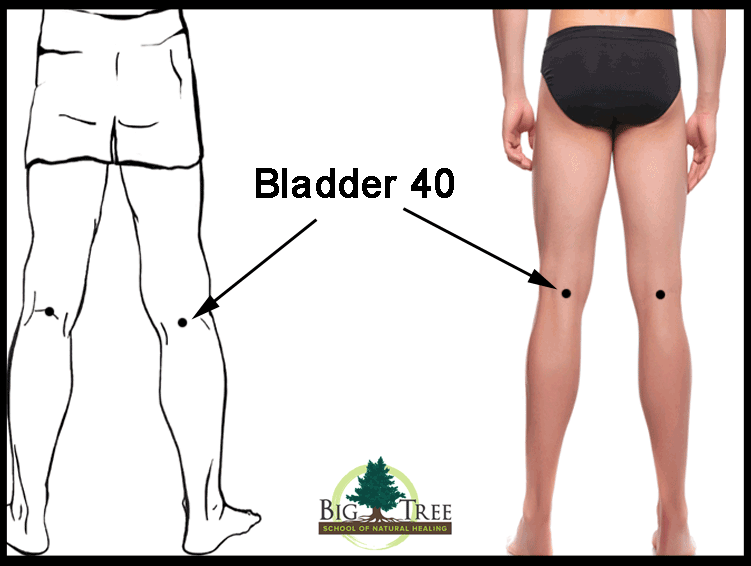 Bladder 40 is in the center of the crease at the back of the knees. BL 40 is located right in the center of the back of the knee. First, notice the crease that marks the back of the knee. Bladder 40 is at the center point of that crease. The back of the knee is a vulnerable area. Use very light pressure on Bladder 40 so that you do not injure the knee joint. By using gentle, circular motion you can activate Bladder 40 in order to help reduce low back pain. To continue learning, check out the “Reduce Low Back Pain” video on demand. Cindy Black is the Founder of Big Tree School of Natural Healing and the author of Meridian Massage, Pathways to Vitality. She is appreciated for her ability to make the complex accessible, fun, and practical. What is Blood in Chinese Medicine? Thanks Cindy Great Article: This is one of my favorite points since recovering from two spinal surgeries … Always during the shifting of seasons it is my cure-all point for alleviating my back pain. Yes, it is an important to use for back pain! How long do I apply this pressure for. My husband has lower back pain every once in a while. Thanks for the info. This is the big question! My answer always begins with “it depends.” It depends on the person you are working with and their unique set of circumstances, along with you, and your unique circumstances. Thanks for your great question!